The item Audacious, Gabrielle Prendergast, (electronic resource) represents a specific, individual, material embodiment of a distinct intellectual or artistic creation found in Austin Public Library. Sixteen-year-old Raphaelle tends to say the wrong thing, antagonizes the wrong people and has the wrong attitude. She doesn't seem to do anything right except draw, but then, she draws the wrong pictures. 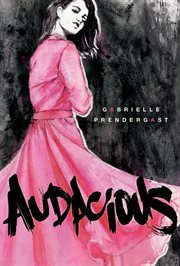 Told entirely in verse, Audacious is a bold and humorous portrait of a girl who embodies the word 'audacity'.